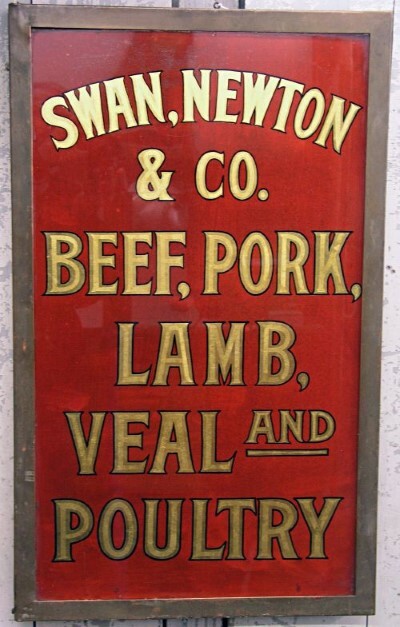 Swan Newton & Co.reverse painting on glass trade sign. 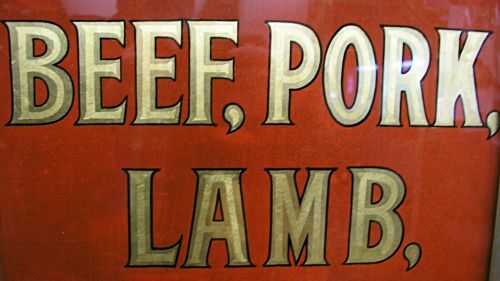 Brass frame with Gold Leaf lettering. Swan Newton & Co. was located at Faneuil Hall Market in Boston until 1899. Dimensions: Measures 18" x 30"